The Air Force Marathon is proud to offer two pacing options. 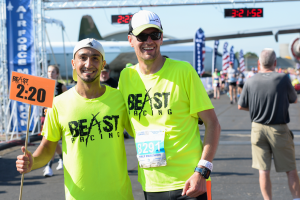 For runners interested in a traditional pace experience we offer Beast Pacing. For those who run using the Galloway Training method, we offer galloway pacers. You can check out both options below.